Prescription prices vary widely between local pharmacies, in some cases by hundreds of dollars. 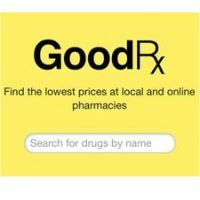 Compare prices for every FDA-approved prescription drug at more than 70,000 pharmacies across the United States. Show the lowest price at each pharmacy near you and get free coupons to use at the pharmacy. You can save up to 80% on your prescriptions.